MINONK – Dorothy M. Harms, 89, died at 2:10 p.m., Wednesday, April 10, 2019, at Heritage Health in Minonk. She was born June 13, 1929, in Minonk, the daughter of John J. and Antka Rients Meyer. She married Otto W. Harms on May 22, 1949. He died in 1997. Survivors include one daughter, Barbara (Richard) Kleen, Minonk; one son, Otto (Patricia) Harms Jr., Tucson, Ariz.; four grandchildren, Tammy Harms, Douglas (Monique) Harms, Marcia (Kurk) Macphearson and Paul (Tenneil) Harms and seven great-grandchildren. She was preceded in death by her parents, two sisters and six brothers. 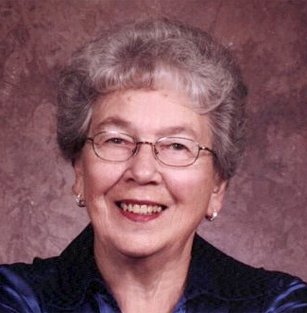 Dorothy was a member of Immanuel Lutheran Church, Minonk, for many years. She enjoyed quilting, working outdoors and traveling. Services will be held Monday at 11 a.m. at the church with the Rev. Joy Miller officiating. Visitation will take place Monday morning from 10 to 11 a.m. at the church. Burial will follow the service in the Minonk Township Cemetery in Minonk. Calvert-Johnson and Froelich Memorial Home, Minonk, is in charge of the arrangements. Memorials may be made to the church or to OSF Eastern Region Hospice, 211 North Landmark Drive Suite D3, Normal, 61761.